COLUMBIA, SC (WIS) - After listening to five hours of teacher testimony last week, lawmakers have made proposed changes to an 84-page education reform bill. The House Education Subcommittee met Wednesday afternoon. During the meeting, Representative Raye Felder (R-York) unveiled an amendment with proposed changes. A former teacher and parent of a student, Kristi Schrader said she has attended subcommittee meetings since the bill has been filed. “Teachers have a voice and it’s really important that our voices are really being heard,” she said. The amendment proposed by Rep. Felder makes many technical changes – like fixing typos and clarifying languages. But some of the big changes include creating a Teachers Bill of Rights, removed a proposal to allow high performing schools to hire 25 percent non-certified teachers, and removed language that would’ve created a study into creating career bands for teachers. Other changes include removing social studies and science tests. These were some of the issues brought to light last week and lawmakers appear to have been paying attention. The subcommittee voted to carry the amendment over to the next meeting so lawmakers could consider these changes. “Every teacher I know has a second job, a roommate or thank goodness they’re married,” Shrader said. 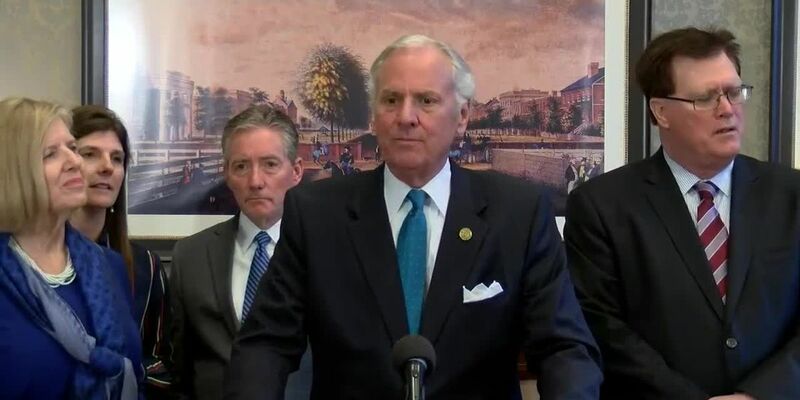 On Wednesday morning Governor Henry McMaster (R-South Carolina), State Superintendent Molly Spearman, Speaker of the House Jay Lucas (R-Darlington) and Senator Greg Hembree (R-Horry) held a press conference to reaffirm they’re committing to fixing education this session. “This movement, this transformation is much, much more than this individual bill," Speaker Lucas said. The Speaker’s bill now has 81 sponsors from both sides of the aisle. The Senate Education Subcommittee announced when they would have their town hall meetings. Their first one is scheduled at Gaffney High School in Gaffney on March 18 from 6 p.m. to 8 p.m. and another at Georgetown High School in Georgetown on March 21 from 6 p.m. to 8 p.m. The subcommittee said they are hoping to have town halls in McCormick and Hartsville as well.